Wilson Central linebacker T.J. Minnifee (left) and Mt. Juliet quarterback Mason Earls (right). Mt. Juliet has dominated the series, winning the past seven meetings against its rival. 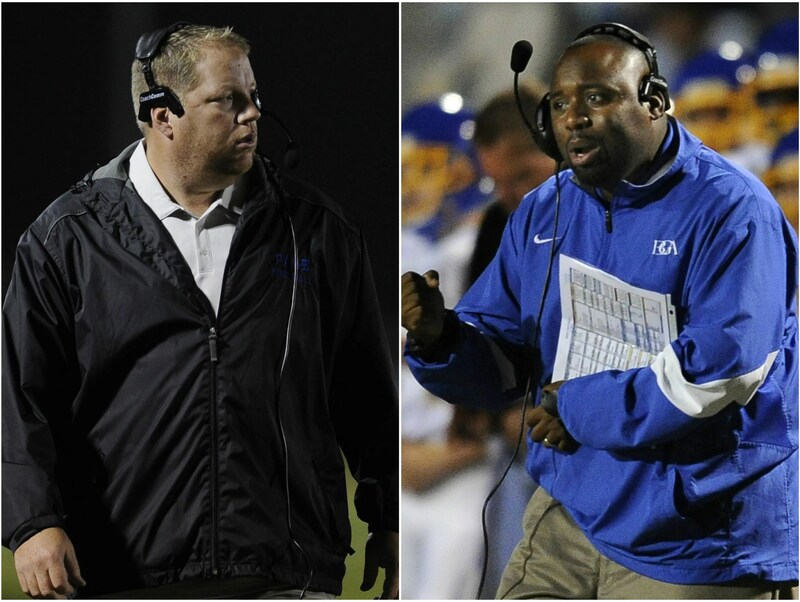 However, Wilson Central has dominated its opponents so far this season, averaging better than 38 points. Gallatin is off to a 4-1 start for the second straight season, but the Green Wave will be looking for a better finish this time around after dropping their final five regular-season games a year ago. 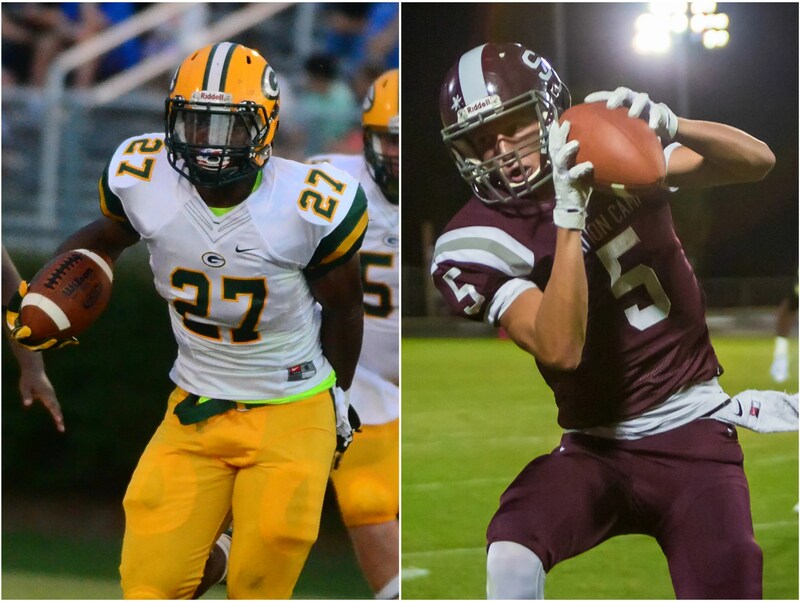 Station Camp has taken two of the last three in this crosstown rivalry. Columbia Academy has won 17 consecutive games in league play and racked up nearly 300 yards a week ago in a 23-14 win over Summertown. Fayetteville can collect its best win of the season and gain control of 4-1A. 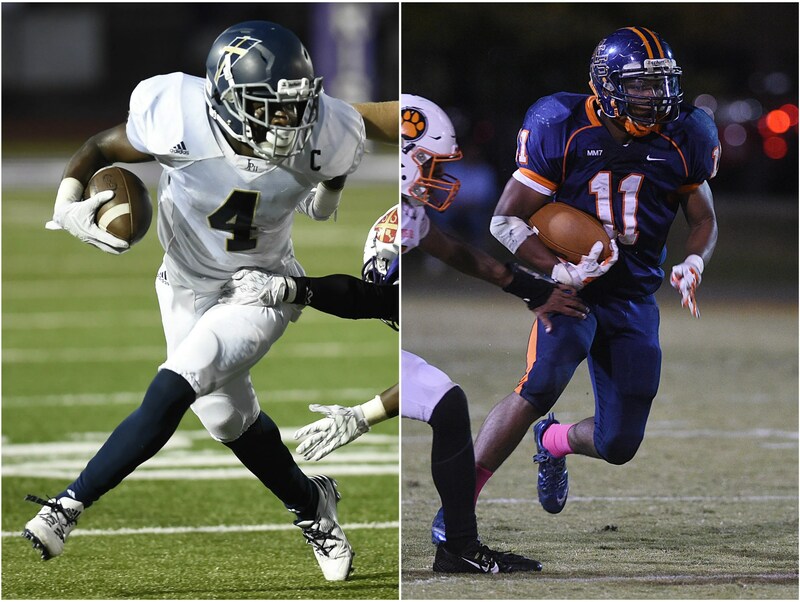 Both teams are capable of long postseason runs — Liberty in Class 3A and Pearl-Cohn in Class 4A. Liberty QB Corey Newble combined for 404 total yards and six total touchdowns in Friday’s win over Dyersburg. Pearl-Cohn ran just 30 offensive plays in last week’s win over Portland, resulting in 374 total yards. 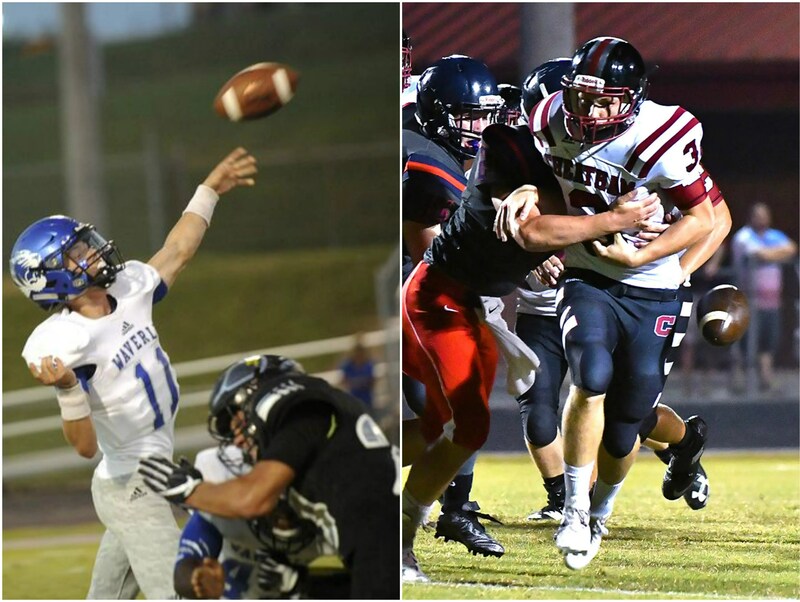 Waverly Central quarterback Gavin Stanfield (left) and Cheatham County running back Dylan Lassiter (right). Waverly faces its second Region 6-3A team in three weeks with Fairview edging the Tigers 27-26 for their lone loss. Cheatham County has won three consecutive games, rolling to a 51-20 victory over Stewart County on Friday. 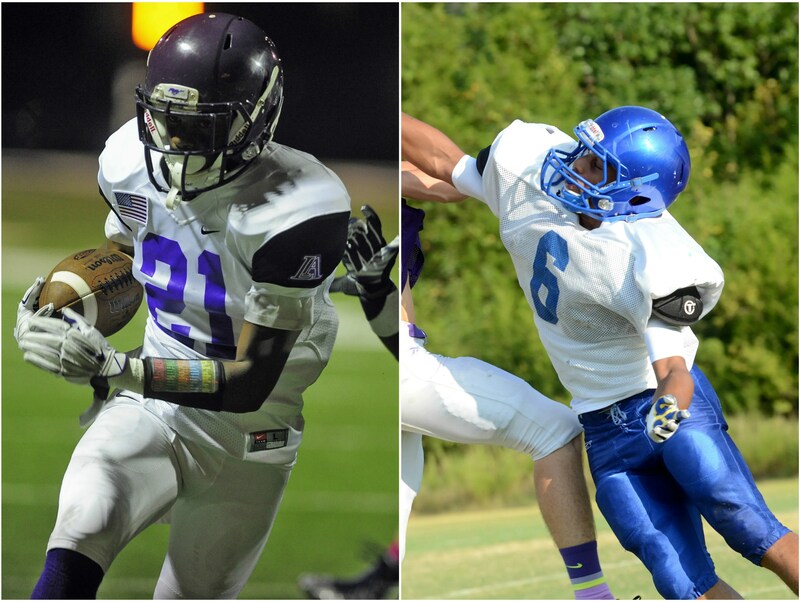 Lipscomb running back William Phillips (left) and Goodpasture running back Jermaine Mason (right). The running game should be the focal point in this matchup. Lipscomb’s William Phillips ran for a 128 yards and three touchdowns on just six carries in last week’s 55-34 win over Creek Wood. Goodpasture’s Jermaine Mason is coming off a 167-yard effort in a 48-30 win against Whites Creek. 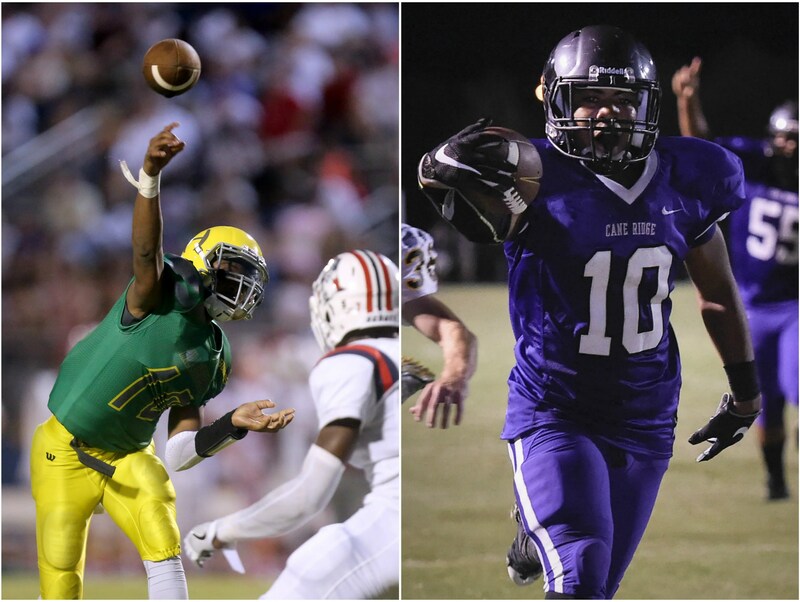 Hillsboro quarterback Tywan Goodner (left) and Cane Ridge running back Jordan Bell (right). Cane Ridge’s fast-striking offense was slowed in last week’s 17-16 win at Beech. Hillsboro, coming off a 28-14 loss to Hendersonville, probably needs a win to remain in the hunt for a Region 6-5A title. Nashville Christian and coach Jeff Brothers look to avenge its lone loss last season to the Knights — Brothers’ former school. Pope John Paul II can reach the four-win mark for just the second time in the last decade. Scoring points has been an issue at times for Page, which is averaging just 17.5 points. 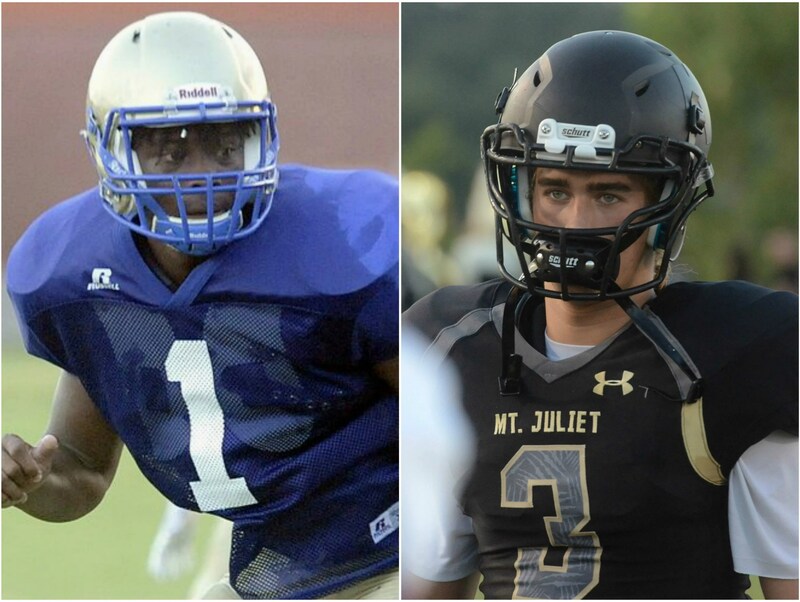 It hasn’t for the Wildcats, who average 34.4, including 45 in a loss to University School of Jackson last week. Reach Michael Murphy at 615-259-8262 and on Twitter @Murph_TNsports. Reach Craig Harris at 615-259-8238 and on Twitter @CHTennessean. Macon Co. over DeKalb Co.
Fulton City, Ky. over Stewart Co.
Stone Memorial over Smith Co.
White Co. over Cumberland Co.